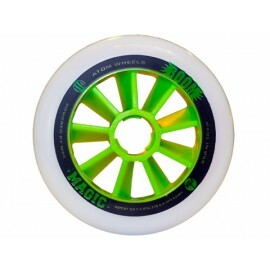 ATOM BOOM/BOOM Magic - The first banded inline wheel with a full interlock system and encapsulated band. This means the outer tire formula fully encompasses the inner band. Tire formula flows through the interlock encapsulating the band, establishing higher rebound/energy, better control in the turns, improves wear due to the enhanced structure making it perform excellent on both track and road. 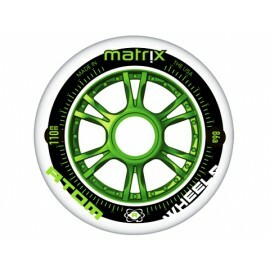 Matrix represents a MAJOR overhaul utilizing our X-Flex core and proprietary 'Insane Thane' formula. 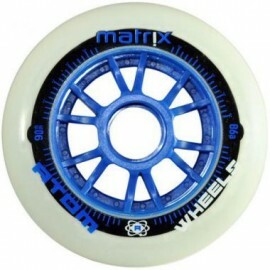 Insane-Thane surpasses ALL previous Atom Wheels formulas. 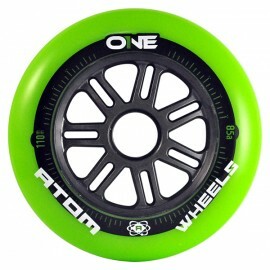 Trust your instincts - Skate at speeds an..
Atom Boom Road – Atom’s latest effort to provide speed skaters worldwide with a performance wheel at a cost-effective price. Boom Road features the same Inner band using our BOOM technology. Our ..
Atom Boom made by MPC, is rapidly becoming recognized as the number one Road wheel in the world. 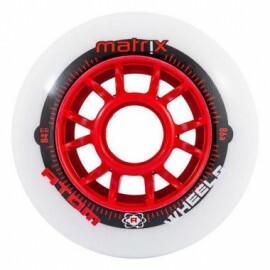 It's a well-known fact MPC has the best inline-racing urethane in the world. 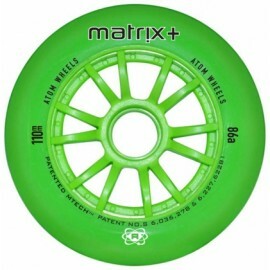 MPC has dominated track wo..
Matrix PLUS – Atom´s latest efforts to provide speed skaters worldwide with a performance wheel at a cost-effective price. Inner band uses our ENCOMPASSED technology without RACE THANE. Th.. Available in sizes 100 mm a 110 mm hardness Firm, Xfirm, XXFirm. * MPC, proprietary race formula * TPU core technology * Patent Turbine core technology * "Super Ball" MPC's p..
Atom offer cheeper wheels version ONE. In competition with another fittness brands, ONE offers higher quality in each way: roll, grip, longativity. 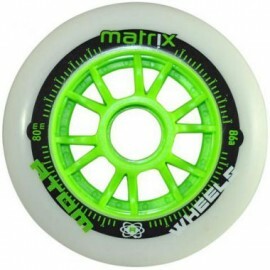 Hardness: 85a Available in size 80mm, 84mm,.. Available in sizes 100 mm a 110 mm hardness Firm, Xfirm, XXFirm. * MPC, proprietary race formula * TPU core technology * Patent Turbine core technology * "Super Ball" MPC's pro..